This Policy gives effect to our commitment to protect your personal information and has been adopted by all of the separate and distinct legal entities that manage, operate, own and/or provide services to Hotel Royal Macau, throughout this Policy, depending upon the context, collectively refer to those separate and distinct legal entities. When you agree to this Policy you are, to the extent required under your local law, granting your express and written consent to the processing of any personal information that you provide to Hotel Royal Macau that is considered to be Sensitive Personal Information or financial information. Save to the extent required by law, you are not obliged to provide Hotel Royal Macau with any of your Sensitive Personal Information, and should you chose not to, this will not prevent you from purchasing any products or services from Hotel Royal Macau. 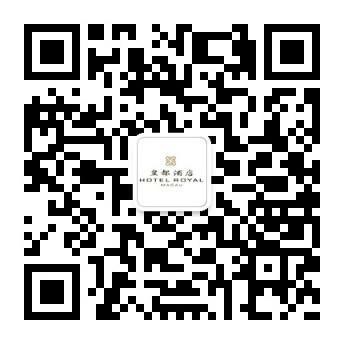 Hotel Royal Macau uses and retains your personal information for as long as is necessary to fulfil the Purpose. If you visit a Hotel Royal Macau website and decide, for example, to purchase a gift certificate, make an airline reservation, rent a car, submit award request forms or apply for a job online, you may be seamlessly linked to websites maintained by third parties with whom we have contracted to provide those services. If you click on a link found on our websites or on any other website, you should always look at the location bar within your browser to determine whether you have been linked to a different website. This Policy, and our responsibility, is limited to our own information collection practices. We are not responsible for, and cannot always ensure, the information collection practices or privacy policies of other websites maintained by third parties or our service providers where you submit your personal information directly to such websites. In addition, we cannot ensure the content of the websites maintained by these third parties or our service providers, even if accessible using a link from our websites. We urge you to read the privacy and security policies of any external websites before providing any personal information while accessing those websites. If you provide us with your contact details (e.g. postal address, email address, telephone number or fax number), we may contact you to let you know about the products, services, promotions and events offered that we think you may be interested in. We may also share your personal information with carefully-selected third parties, who may communicate directly with you. In some jurisdictions, data privacy laws may require us to obtain a separate consent before we do so. You can always choose whether or not to receive any or all of these communications by contacting us as described in Section 10 below or following the “unsubscribe” instructions contained in the communications. If you have an account with our frequent guest program we ask you to indicate your communication preferences at the time you apply for membership or when you create your user profile. We may also ask you to indicate how you would like to receive any offers, marketing and promotional information (e.g. via email or regular mail) and whether you would be willing to participate in surveys. Once you have indicated your preferences, you can always change them. With some limited exceptions, you have rights to access and update personal information held about you. If you want to inquire about any personal information we may have about you, you can do so by sending us a written request by letter or email to the addresses set out in Section 10 below. Please be sure to include your full name, address and telephone number and a copy of a document evidencing your identity (such as an ID card or passport) so we can ascertain your identity and whether we have any personal information regarding you, or in case we need to contact you to obtain any additional information we may require to make that determination. We reserve the right to charge you a fee, if permitted under applicable law for processing any such request. Where you make more than one request in quick succession, we may respond to your subsequent request by referring to our earlier response and only identifying any items that have changed materially. If you have any questions about this Policy, about the processing of your data described, or any concerns or complaints with regard to the administration of the Policy, or if you would like to submit a request (in the manner described in Section 8 above) for access to or deletion of the personal information that we maintain about you, please contact us by contacting the front desk. While this Policy alone does not create contractual rights, Hotel Royal Macau has ensured compliance with some of its legal obligations in some countries in relation to personal information by creating a set of binding standards and policies (known in some countries as binding corporate rules), approved by a number of national privacy regulators. As a result, depending on your circumstances and location, you may be able to enforce your privacy rights using those standards or policies through that regulator or a court. If you would like to know more about these standards and policies, please contact us at the email address above.